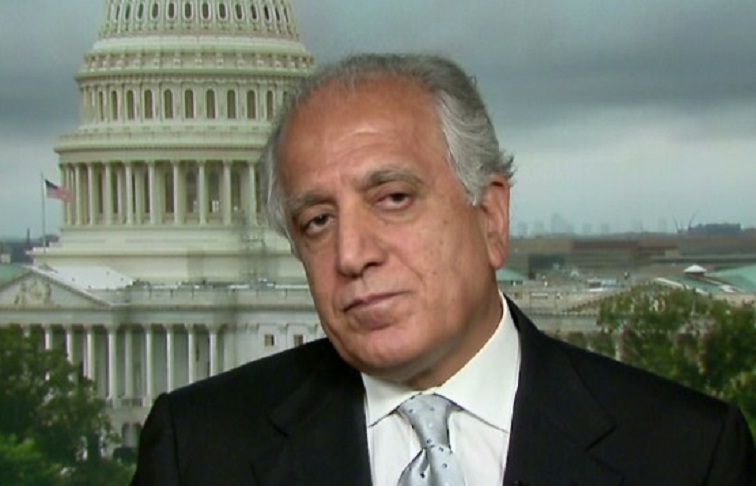 In a bid to broker reconciliation between Afghan government and the Taliban insurgent group, the US Special Envoy Dr. Zalmay Khalilzad has resumed talks with the concerned parties and reached at Doha capital of Qatar. The Taliban Political Office is in operation at Doha from where they are engaged in talks and contacts with peace brokers and mediators. Beside Qatar, Zalmay Khalilzad will travel to Pakistan, Afghanistan, Russia, Uzbekistan, Turkmenistan, Belgium, and United Arab Emirates with an interagency delegation from December 2 to 20. So far after his landing in Doha a section of Pakistani media reported that Khalilzad and Taliban group agreed on a peace formula which included handing over affairs of certain provinces to Taliban. Though no any either from Afghan government, the US State Office or the Taliban has confirmed the reports but it could be a very set back to the very interests of Afghanistan and its people. Handing over affairs of certain provinces to Taliban could be meant disintegration of Afghanistan, which might be intolerable for each and every citizen of this war devastated country. Since a long not only neighbors but even certain other western and European countries are also making predictions of Afghanistan disintegration which they believe is the solution of the issue. Since the days of war against former Soviet Union in 70 and 80’s, almost Afghans irrespective of their political, ideological, communal and lingual identities are opposing the disintegration of the motherland and still might be their reaction in case Zalmay Khalilzad and Taliban materialize an agreement in this respect. On such grounds, it is the time for Afghans to remain alert and careful regarding future of motherland. During current trip to the region, Khalilzad will meet with Afghan government officials and other interested parties to support and facilitate an inclusive peace process in Afghanistan, empowering the Afghan people to decide their nation’s fate. Special Representative Khalilzad will be in communication with President Ghani, Chief Executive Abdullah, and other Afghan stakeholders to coordinate closely on efforts to bring the Taliban to the negotiating table with the Afghan government and other Afghans. For the first time Khalilzad on his current assignment is going to meet with men and women active in civil society and peace efforts, members of the media, and other governmental and non-governmental officials. Before leaving US for Asia, Zalmay Khalilzad in a statement stressed that all Afghans must have a say in creating a sustainable peace for Afghanistan. US administration has widely indicted to bring peace in Afghanistan through Khalilzad’s peace mission, and its hurry in doing so as the Afghans deserve peace after 40 years of war. Khalilzad is right that no one can win war or get materialize their dreams through armed ways, therefore, US making attempts to facilitate both the sides for a patch up whereas they would face each others in a win-win position. But in the win-win position, Khalilzad must keep in mind that Afghans from either side would not back the attempts of their motherland’s disintegration.